TOUR GUIDE RESPONSE: Thank you Kathie for your thoughtful and kind Review. I am glad you enjoyed your day and I hope you enjoy our country and your vacation in Ireland. Best Regards Mary. TOUR GUIDE RESPONSE: Hi Michael & Heather Thank you for your very kind and wonderful Review. It was a perfect day for a landing trip to Skellig Michael and I am delighted you enjoyed it so much. Best Regards Mary. TOUR GUIDE RESPONSE: Dear Beth, Thank you so much for your wonderful Review. I really enjoyed our hike through the Killarney National Park and our surprise visit to the Pet Farm for your 6 year old grandson, I think he really enjoyed it. Kids make the world go around and when he's happy, everybody's happy! Wishing you all the best. Mary. Mary was an amazing and wonderful guide! We were so lucky to find her. And we were sad to leave her and beautiful Ireland. Mary knows so much of the history of Ireland and took us places we never would have found on our own. We can't recommend her highly enough! Mary went the extra mile, trying to make sure I got everything I needed. We had a lot of walking in graveyards to do, and she was great about explaining local history. TOUR GUIDE RESPONSE: Thank you Fara, I am so glad you got the information you were looking for and that you enjoyed the day. Best Regards Mary. Mary is a outgoing, considerate, good-humored, and knowledgeable guide. Due to safety maintenance on Skellig Michael, we were unfortunately not able to land the day of our tour. Nevertheless, Mary arranged for us to take a boat to see The Skellig Rocks without the landing. Wow, what a beautiful experience! Mary went above and beyond to show us the spectacular views of the Ring of Kerry and Valencia Island. Thank you Mary for our amazing day! TOUR GUIDE RESPONSE: Hi Katherine, Thank you for your brilliant Review, I am glad you got to do the boat trip around The Skelligs and that you enjoyed it. Unfortunately the boats have still not yet managed to do the landing tours but hopefully this week they should be successful. It is a very unique place to visit and hopefully you will do the landing tour in time to come. TOUR GUIDE RESPONSE: Thank you for your wonderful Review Sarah, I am so glad you and all your family enjoyed your tour and shore time in Cobh and Cork and we were allowed to give you a glimpse of life in our wonderful country, hopefully we will have the opportunity again in the future. Best Regards Mary. What a joy it was to tour with Mary! She was not only knowledgeable but exceptionally accommodating to our needs and wishes. She seemlessly prepared for all of our stops and excursions so that there was little if any wait time and planned for meals and photo stops at great locations. I recommend Mary's various tours without hesitation for a stress-free and wonderful vacation! Our Ring of Kerry tour was wonderful and a highlight of our vacation. Mary is an incredible guide, she is extremely knowledgable and was able to take our family places we would not gone on our own. Mary was very accommodating, modifying the tour based on our interests learned from discussions we had while driving. I highly recommend exploring the Ring of Kerry with Mary, it will be an experience you will remember. TOUR GUIDE RESPONSE: Thank you Bob for your wonderful and fantastic Review. It was great to be able to locate your original family home and roots and I hope it was helpful to you and your family. Happy St. Patrick's Day, we will all celebrate our heritage today. TOUR GUIDE RESPONSE: Thank you for your very kind and wonderful review. It was a great day out and I am glad you enjoyed our days sightseeing and tour. Mary was the perfect driver for the Ring of Kerry portion of our holiday. She is sweet and accommodating. Mary tailored our stops to our interests based on our conversations along the way. We had so many beautiful vistas for photos. Mary told us about each location so we learned a bit about the Irish countryside historically and socially. She gave us time to stop off for lunch on our own.! Overall,it was a fantastic way to spend the day. Thank you Mary. TOUR GUIDE RESPONSE: Thank you Brooke for your wonderful Review. I am delighted you enjoyed the tour and the many places we visited. I hope you all had a great vacation in Ireland and someday you will come back again to revisit. Mary was wonderful. She is very knowledgeable about the area and shared interesting history and facts throughout the tour. Due to the roads being so narrow, taking the private tour made for a much more relaxing experience for us. I would highly recommend this tour! TOUR GUIDE RESPONSE: Thank you Karen for your wonderful Review. I am glad you enjoyed the tour and your 'day off' from driving our often narrow roads. I hope you enjoy the rest of your trip to our wonderful country. This was the highlight of our trip to Ireland! Mary did a fantastic job of showing us the Ring of Kerry off the beaten path. We learned so much about the area, history, etc. Many of the places we stopped, it was as if we had a private audience to be there! I would recommend this to anyone looking for a special treat or looking for special treatment on their visit to Killarney/Ring of Kerry area. TOUR GUIDE RESPONSE: Hi David, Thank you for a fantastic Review, it was a great day out & I love to show the hidden parts many visitors miss out on. I am delighted you enjoyed your visit to our wonderful country. We had a lovely day with Mary. She is very knowledgeable and was very pleasant. She adapts to whatever your interests are and our day with her will definitely remain the highlight of our trip to Ireland. TOUR GUIDE RESPONSE: Thank you Emilie for your great review. I am glad you enjoyed your excursion to Skellig Michael and you got to the top and saw the world heritage UNESCO site - the Monastery, it is a very special place. Enjoy the rest of your vacation in Ireland, there is so much to do and see. Mary was prompt, friendly and safe driver. TOUR GUIDE RESPONSE: Thank you Marcy. Mary was friendly, knowledgeable, flexible, and pleasant to be with. TOUR GUIDE RESPONSE: Thank you Marcy for your great review. I hope you all got home safely and enjoyed your visit to Ireland. Skellig Michael is one of top 5 things I've done in my life! Mary was outstanding . TOUR GUIDE RESPONSE: Thank you Robyn, visiting Skellig Michael is a very unique and exciting experience and one you will always remember! Mary was excellent. She adapted the tour as the tour went along based on our discussions. She also put in a few extras that were very exciting. We would recommend her as a guide. TOUR GUIDE RESPONSE: Hi Sy, Thank you for your very kind and wonderful Review. I always like to adapt the tour to suit people's interests and it was great you all enjoyed the sights and attractions I chose for you. TOUR GUIDE RESPONSE: Thank you so much for a really fantastic Review. It was a pleasure turning what was going to be a local day into a real adventure for you all and finding the family heritage your mother remembered, it is amazing what you discover when you go down those narrow boreens to the townlands, and talk to the locals in the pub! I am so glad you all enjoyed it! We highly recommend Mary and this trip. Mary pays attention to the particular interest we had on this trip and accommodated us. TOUR GUIDE RESPONSE: Thank you for your wonderful Review, I really enjoyed showing you Dingle and all sights & attractions. Absolutely fabulous!! Very knowledgeable, and very friendly! She went above and beyond for us, and would recommend her for sure! TOUR GUIDE RESPONSE: Thank you Diana for your fantastic Review, I hope you enjoy the rest of your vacation in Ireland. TOUR GUIDE RESPONSE: Thank you so much for your fantastic review. I am glad you had a great day and I really enjoyed your wonderful company and showing you our wonderful country. Best Regards Mary. TOUR GUIDE RESPONSE: Thank you for your fantastic Review, I really appreciate that you enjoyed the day and could see so much on our tour. Going off the beaten path is always the best part! Many thanks and take care, Mary. The four of us on our tour of Dingle Peninsula enjoyed the day with Mary. She is an experienced guide who knows the history of the area. We all appreciated the beautiful coastline of Ireland. We stopped frequently and she gave us the time we needed to explore. I highly recommend Mary and this tour company. TOUR GUIDE RESPONSE: Hi Judy, Thank you for your great Review of our recent tour. I hope you all enjoyed your visit to Ireland and returned home safely. Bye for now Mary. TOUR GUIDE RESPONSE: Thank you most sincerely for your great Review. It was a great day and I look forward to seeing you when you come back to Ireland again. Best Regards Mary. I am not talented enough to express how delighted we are to have met Mary and to have so thoroughly enjoyed our tour with her. We experienced Cobh, Cork, Blarney Castle and the surrounding area so pleasantly that I had Mary take me to a local bookstore to buy a book of those wonderful Irish expressions. Mary is an absolute Irish treasure. TOUR GUIDE RESPONSE: Hi Sherwood, Thank you for your wonderful Review, it was a great and fun day. I can still hear yourself and Larry laughing in the bookstore at the Irish sayings, I hope you enjoyed reading them! Best Regards Mary. Mary was so fantastic. She went so far above and beyond as a tour guide. She was excellent and informative on the background and history of Ireland. She was able to make our day full of fun and adventure. She was very good with keeping a nice comfortable pace and very interesting extras we were not expecting. TOUR GUIDE RESPONSE: Hi Diane, Thank you for your wonderful review. I really enjoyed our day together and was only too happy to ensure you had a great and interesting day. Best Regards Mary. "Family reunion in County Limerick" Pending review I engaged Mary to drive my wife and I from Killarney to an out of the way spot in County Limerick where we would be meeting cousins for the first time. Mary arrived at our hotel several minutes early and immediately put us at ease. She is a very skilled driver and she found my cousin's place with no difficulty. Mary blended in with the big Irish family and was very supportive in making the day a success. TOUR GUIDE RESPONSE: Thank you Paul for your wonderful Review. It is always a great occasion and a personal satisfaction to me when bringing together two families who are related but who have never met each other. The day was full of warmth and hospitality and it was the foundation of what will be a welcoming and longstanding relationship between both families for hopefully generations to come. TOUR GUIDE RESPONSE: Hi Kate, Thank you for your fantastic review. I am so glad you and the kids enjoyed the day, it was a pleasure to show them Killarney and all the great things to see and do here. The children were brilliant and so enthusiastic about the adventurous day. Best Regards Mary. We had a great tour of the Ring of Kerry with Mary. One of my favorite tours so far on TBL. Mary knows the area and you will see a lot. It is much easier to enjoy the scenery with a professional doing the driving. TOUR GUIDE RESPONSE: Hi Michael & Lois, Thank you for your wonderful comments, it was a great day and really helped by the fantastic sunshine we had that day. I am really glad you all enjoyed the tour and I hope you will be in this area again. Bye for now. Mary. Mary was a wonderful tour guide. She made our trip to Killarney very special. She knew all of the history of the sites we toured and hiked with us up paths to Torc waterfall, Blarney castle, Rock of Cashel, Lady's View on the Ring of Kerry. She is very genuine and cordial, I felt like I'd known her for years. On the last day of our trip back to Dublin, her husband Ray was our driver and tour guide along with Mary. He is just like Mary. They made it wonderful ! TOUR GUIDE RESPONSE: Thank you so much Diane for such a wonderful and fantastic Review. I really had great fun with you all and enjoyed our 3 very full and active days together. Hope you got home safely and will have happy memories of our wonderful country. Mary is amazing! I think she knows everyone (and everything) on the entire Ring of Kerry. Every stop we made, people were saying "hi Mary" and bumped us to the front of lines to make room. She was able to fit the tour around our tight time frame, so we felt like we didn't miss anything. TOUR GUIDE RESPONSE: Hi Michelle & John, Thank you for your very kind Review of your recent tour with me, it is greatly appreciated, I hope you enjoyed the rest of your vacation in Europe. Best Regards Mary. We were more than delighted with our tour. Mary quickly adjusted to our specific needs and interests and made sure we experienced everything we possibly could. We had a mixture of weathers and were able to see the whole of our itinerary, rain and sunshine and all. The comfort and convenience and the cordial, welcoming atmosphere made this a highlight of our entire vacation. TOUR GUIDE RESPONSE: Thank you so much Meg, I am delighted you both enjoyed your tour and your trip to Ireland, I really enjoyed the day with you in Dingle. Tour was very enjoyable and scenic. Mary (tour guide) was very friendly and informative, beyond expectation. TOUR GUIDE RESPONSE: Thank you for your kind and lovely comments, hope you enjoy your trip to Ireland, it was a pleasure touring with you. TOUR GUIDE RESPONSE: Thank you for your 5 star rating, I really appreciate it! Mary was great, packed in so much for us to see. Took us to so many interesting spots that we would never have found on our on. Fun to be with, very knowledgeable. Thanks for a great 3 days! TOUR GUIDE RESPONSE: Thank you both so much for your wonderful and kind comments, I really enjoyed our 3 days together, you were great company and fun to be with. I hope you will look forward to your future visits to our wonderful country and enjoy a real Irish wedding in May! TOUR GUIDE RESPONSE: Thank you for your 5* Rating. TOUR GUIDE RESPONSE: Thank you Eden. TOUR GUIDE RESPONSE: Thank you so much Ginny & John for your fantastic and kind comments. The tour is always a busy and varied day and I try to show everyone as much as possible. Hope you enjoyed the rest of your vacation in Ireland. Mary was a true professional. What an amazing day we had, first at Blarney Castle and ending with a tour of the amazing 9/11 FDNY tribute garden - that we didn't even know existed but was so personal to us as Paul lost a dear friend and firefighter on that day. While we couldn't find his tree, your offer to lay something in his honor was so incredibly touching. Thank you for everything. TOUR GUIDE RESPONSE: Thank you so much for your very kind comments. The 9/11 Remembrance Garden is a very beautiful, peaceful and special place to see and next time I visit I will leave a small token in memory of your friend Durrell Pearsall, he will not be forgotten there. TOUR GUIDE RESPONSE: Thank you all for your wonderful and kind comments. We really enjoyed showing you around Cobh, Kinsale and all the wonderful places to see. The Garden of Remembrance is a very special place to visit and hopefully more visitors will get to see it. Mary was outstanding. She made sure we got on Skellig's Island and showed us around the Ring of Kerry and Killarney National Park. This was the highlight of our whole trip. She made sure to stay in touch with us regarding weather conditions and sent the appropriate amount of communication. She was an excellent tour guide. We firmly believe that we wouldn't have made it to Skellig's if it wasn't for Mary. TOUR GUIDE RESPONSE: Thank you for your wonderful Review. A visit to The Skelligs is truly a wonderful and enlightening experience and I am so glad you enjoyed the day and the boat trip. Excellent guide. Our group of 6 really appreciated the minibus with a driver. He was excellent and it allowed Mary to focus on giving us information of the areas we visited and answering our questions. TOUR GUIDE RESPONSE: Thank you so much Frank for your wonderful review, you were all great fun and it was a pleasure showing you the sights and attractions. I hope you all enjoy your cruise and have great fun exploring all the ports you land in. My wife and I did the Skelligs and Ring of Kerry tour. Mary was an incredible tour guide! Prior to our trip, she was very quick to respond to emails and was able to book us on to the boat to Skellig Island (which is no easy feat as they are often booked for months). She picked us up from our hotel and dropped us off at the station, was very puncutal, knowledgable, and friendly. Worth every euro, espcially if you want to see the Skelligs, as not many tours take you to Portmagee. Highly recommended! TOUR GUIDE RESPONSE: Thank you Bradley & Linda, it was a very full day starting early at 7am but well worth seeing The Skelligs, The Skellig Ring and the Ring of Kerry. Really glad you enjoyed it and I hope you have a great time for the remainder of your holiday in Ireland. TOUR GUIDE RESPONSE: Thank you Kay for your 5 star rating, I hope you and your family all enjoyed the tour and the wonderful day. Mary was a great local guide. She knows this area and will make it a fun, relaxing day. TOUR GUIDE RESPONSE: Thank you for your kind comments, I hope you enjoy your vacation in Ireland. Mary is a lovely lady and a pleasure to move around and converse with. She did a great job of taking us to places that were off the tourist track and less crowded. Had great picture opportunities. Her knowledge of history and local information helped us understand the area. Thank you Mary! I have done many private tours over the years and Mary was the best tour guide ever! Totally charming, very knowledgeable, and extremely attentive to what we were most interested in. We would choose Mary for a tour any where in the south of Ireland! TOUR GUIDE RESPONSE: Thank you so much Dennis for your fantastic comments, I really enjoyed our day together and it was a pleasure to show Megan the Kenmare Lace selection - it might appear on a catwalk on her designs some day! Best Regards Mary. Mary did a great job of showing us around Muck Ross and the Killarney National Park. The waterfall hike was perfect and the scenery was gorgeous. She is very easy going and we enjoyed talking with her. It felt as though we were being led around by someone that truly knew the history of the town and area. I highly recommend Mary as a guide. TOUR GUIDE RESPONSE: Thank you so much Karen, it was a pleasure showing you all the highlights of Killarney and the many things to see and do. I hope you enjoy the rest of your vacation and adventures in Ireland. Best Regards, Mary. My husband and I took the Ring of Kerry full day tour with Mary. It was a spectacular day. Mary showed us so many sights I know we would have missed on our own-or with a larger group. She pointed out so many things and picked out perfect places to stop for photos. By the end of the day, we felt as though we had known Mary for a long time. Mary was prompt, professional and very knowledgeable. I am a travel agent and will recommend Mary and Tours by Locals with total confidence to my clients. TOUR GUIDE RESPONSE: Hi Linda & John, Thank you for your kind words in your review of your tour of The Ring of Kerry with Ray & I. I am glad you enjoyed your visit to Killarney and I really enjoyed showing you the many sights and 'off the beaten path' attractions on Valentia Island. Best Wishes to you both, Mary. We really enjoyed the tour of Muckross House and the grounds with Mary. This was part of a half day tour that also included a tour of Killarney. Our time was limited but Mary was able to make it work. We actually enjoyed our tour of Muckross House even more as we tagged along with a class of school children so that we could do the tour, as the next one would have been too late for our time frame. We did this tour and a full day tour with Mary and just loved every moment. TOUR GUIDE RESPONSE: Hi Linda & John, Thank you for your kind words, I am really glad you enjoyed the tour of Muckross House & Gardens and tour of Killarney. Best Regards, Mary. Mary is a wonderful guide who really knows the local area. For example, after a stop in Kinsale, she took us to a beautiful 9/11 memorial that a resident had built on their property. I hadn't read about this in any of the guide books, but Mary knew where to find it. Mary truly is a pleasure to spend the day with and I would highly recommend her to anyone. TOUR GUIDE RESPONSE: Thank you Jessica, it was great to show you the hidden gems that get missed by visitors but a local guide will know about. It was great touring with you. Best Regards, Mary. Mary made our day! This is the first time I've used a private tour guide. I wanted to give my husband a break from driving on our 12 day Ireland road trip. I'm so glad I did. Mary was charming and a wealth of knowledge on our Ring of Kerry tour. She totally spoiled us and now we'll be wanting private tour guides for every trip. Thanks Mary. I wish we could have used you for the whole trip! TOUR GUIDE RESPONSE: Thank you for your wonderful comments, it was a pleasure to show you around and I love showing off our wonderful country to everyone. You can see so much more with a private tour guide especially the 'off the beaten track' gems! Best Regards, Mary. Mary is a great tour guide. She knows the area like the back of her hand and took us to several "off the beaten path" places. We couldn't have asked for a better tour or tour guide. I highly recommend anyone to look for Mary when planning an Ireland tour. TOUR GUIDE RESPONSE: Thank you Fred for your fantastic review. We had a great day out and I was really impressed with your driving The Ring of Kerry - it was excellent! Best Regards, Mary. Mary was a super tour guide. 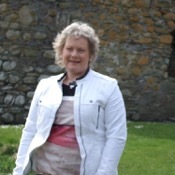 She provided a fabulous introduction to west Ireland, Killarney and the Ring of Kerry. She was knowledgeable about Irish history and culture and answered all our questions very clearly. She customized the tour to our particular interests and she appeared to be well connected to folks at all stops on our tour. The experience was truly memorable and added greatly to our experience of Ireland. TOUR GUIDE RESPONSE: Thank you Joanne for your wonderful comments. I am glad you both enjoyed the tour and all the different aspects to our country - the history, culture, food and scenery but most importantly the people, I really enjoyed our day. Best Regards, Mary. First let me say that my wife and I did two tours with Mary last year, which were wonderful! When we decided to return to Killarney for a few days this year, my only requirement was to do a couple with her again. Through the web site, I found Mary, scheduled something, and then by e-mail, asked her to schedule something we did did not see before. We were not disappointed! This tour covered beautiful scenery and many small villages which we would have never seen any other way. Highly recommend! TOUR GUIDE RESPONSE: Hi James, we may be a small island but there is a wide variety of scenery and many diverse things to see. Thank you for coming to our beautiful country and I really enjoyed showing you something different. Best regards to Laurel. Best wishes, Mary. Another "thumbs up" for Mary! We scheduled this tour before we left home, and in the meantime my wife injured her knee and had to wear a brace. Given the Skelligs had many steps to climb, which my wife could not negotiate easily, Mary changed this to a tour of the Dingle peninsula. This tour was absolutely magnificent. Scenery was beautiful and the town of Dingle was a delight. Highly recommend the Dingle tour, but more than that I recommend any tour Mary conducts. Customer service at the highest level! TOUR GUIDE RESPONSE: Hi James & Laurel, I am so glad you enjoyed the Dingle Peninsula & Slea Head tour, the scenery is fantastic and it is full of wonderful things to see. There are over 600 steps on Skellig Michael and hopefully next time you come to Ireland we will negotiate them! Look out for the new Star Wars movie Skellig Michael & the Beehive huts should be in it. Best Regards Mary. Mary was so easy to work with. Very informative and warm. Just liked one of our family. Thank you, Mary! TOUR GUIDE RESPONSE: Thank you for your very kind comments. I am glad you enjoyed the tour and I hope you have a wonderful day today in Dublin. Best Regards, Mary. Mary was knowledgable, personable and a treat to be with Excellent. TOUR GUIDE RESPONSE: Thank you Elliott for your wonderful comments, it was a pleasure to tour with you. Best Regards, Mary. Mary was a true delight. She got us to Blarney castle early so we could avoid the large lines. Lunch at the White House in Kinsale was a true feel of eating Irish food in an Irish setting. She took us to a special 911 Memorial in Kinsale for fallen fire fighters in New York City that was very moving and beautiful. She was full of local knowledge and she made our trip to Ireland a treat. thanks for great time. TOUR GUIDE RESPONSE: Thank you for your wonderful comments Charles, it was a pleasure to show you our country and to share our history and culture with you. Best Regards, Mary. TOUR GUIDE RESPONSE: Thank you Philip, I am glad you enjoyed the tour despite the appalling weather! Best Regards, Mary. We couldn't be happier with our tour with Mary. She was completely professional and guided us through many different sites, offering suggestions when needed and accommodating our specific requests with ease. We had a wonderful day and highly recommend her. TOUR GUIDE RESPONSE: Thank you so much Debbie for your wonderful comments, I really enjoyed our day and I am glad you got to experience so many diverse attractions during your tour. Best Regards, Mary. TOUR GUIDE RESPONSE: Thank you Andrea for your wonderful comments, I am glad you enjoyed your tour and the beautiful scenery of the area. Best Regards, Mary. Most enjoyable! Highly recommend Mary. Very knowledgeable and pleasant to be with! Thanks Mary!! TOUR GUIDE RESPONSE: Dear Zach, Thank you for kind comments, I am really glad you enjoyed the tour. Best Regards, Mary. TOUR GUIDE RESPONSE: Thank you so much Pam, I really enjoyed being with your wonderful family and planning the alternative activities. I hope it left you all with wonderful memories of being together as a family and of Ireland. Best Regards, Mary. If you want to get the real tour of Cork, aside from the Blarney Stone, Mary is the one to use as a tour guide. We saw more of the real Ireland with her, sights that we could have never seen on a bus, and a person who was so friendly an knowledgeable. Thoroughly enjoyable! TOUR GUIDE RESPONSE: Dear Mike, Thank you for your wonderful comments, it was a pleasure to show you the local sights and particularly ones close to your heart which meant so much to you. I hope you enjoyed the whole trip and vacation. Best Regards, Mary. Mary was diligent to our initial requested plan, thoughtful and observant to our personal needs and a sweetheart to be in company with for a days travels. I was delighted and jubilant to come away with gained knowledge of my families history from the personal appointment with the Heritage Center genealogist that Mary setup for me. Many thanks for a wonderful day! TOUR GUIDE RESPONSE: Thank you for your wonderful comments, I was delighted you learned more about your family & the location they came from, it can seem like looking for a needle in a haystack but to have a successful outcome is very satisfying. I really enjoyed our day & showing you the sights, & I hope you enjoy the rest of your visit to our Emerald Isle. Best Regards, Mary. Mary was our first guide on our tour of the Isles. She was perfect. She set the tone, filled us in on the history, was professional and timely, gave us some time to shop, showed us some beautiful towns and walked us up the steps to the blarney stone. She gave us great weather and a wonderful time. I think she was the perfect guide. TOUR GUIDE RESPONSE: Thank you Sandra for your wonderful comments. I really enjoyed our day and your wonderful company, it was a pleasure to be your tour guide. Best Regards, Mary. Wonderful experience. Tour guide was very knowledgable. TOUR GUIDE RESPONSE: Thank you for your kind comments, I really enjoyed my tour with you & hope you got a good insight from me about Ireland, it's history, customs & people. Best Regards, Mary. She is personable, and knows what she is talking about. We would do it again in a flash! TOUR GUIDE RESPONSE: I really enjoyed my wonderful day out with you and your family on The Ring of Kerry. Thank you so much for your kind comments, and I hope you are enjoying your vacation in Ireland. Best Regards, Mary. Wonderful tour. Guide planned everything with family and I was extremely pleased. TOUR GUIDE RESPONSE: Dear Daphne & Bill, I am delighted the day went as planned and you got to meet your relatives and visit the town your grandmother was born in. It was a pleasure to meet you both and help in any way I could to find your cousins and history, and hopefully we will meet again. Best Regards, Mary. TOUR GUIDE RESPONSE: Thank you Joseph for your 5* rating, I really enjoyed our wonderful day and I hope all in the party did too. Regards, Mary. Mary was very knowledgeable about the sights along the route including a few we asked her to add to our day like finding Irish lace. We appreciated her flexibility and her insightful commentary. As we would pass a bus full of people on a tour who could only look out one side of the bus to see the sights, we enjoyed being able to stop and look around for as much or as little time as we liked. A wonderful way to see the Ring of Kerry! TOUR GUIDE RESPONSE: Thank you for your wonderful kind comments. Private tours are the best way to go, it is more personable and interesting, and I really enjoyed our insightful day. TOUR GUIDE RESPONSE: Thank you Monica for your 5 star rating. I hope you & your Dad enjoyed your trip to Ireland & England & got home safely. Mary is very personable and knowledgable as this is her local area. She was very considerate of one member of out party who had mobility issues. Our group particularly enjoyed the sheepherding demonstration -- which we would not have seen if on our own. As we were new to Ireland we had a lot of questions that were not specific to the Ring of Kerry and she gave good answers to these. Mary was a delightful companion. She was very nice and showed me some very interesting things? The sheepdog demo was fantastic! TOUR GUIDE RESPONSE: Thank you Kathy for your kind comments, I enjoyed the day's touring and look forward to Dingle on Wednesday. Mary. Mary was wonderful. She listened to what we wanted and delivered. And then some! She loves her country and area and knows her stuff. This all was a great benefit to me and my family (sister, daughter and niece). I will recommend her services. TOUR GUIDE RESPONSE: Hi Lisa, Thank you for your brilliant comments, I am glad you all enjoyed your tours and saw and did so much in your days in Killarney. Hope you have a great tour of Europe. Mary. Mary was excellent and a delightful lady. Great tour!!!! TOUR GUIDE RESPONSE: Thank you Ellsworth for your wonderful comments, really enjoyed my day with you both. Regards, Mary. Mary is a fantastic guide--very knowledgeable and warm. We arrived at Blarney Castle soon after they opened and were among the first ones in line to kiss the Blarney stone, avoiding the huge lines that followed. The gardens were beautiful. After excellent shopping at Blarney Mills, she took us to beautiful Kinsale for lunch. Our favorite memory was visiting the deeply moving 9/11 memorial for NY firefighters near Kinsale. Thank you for a beautiful tour of Ireland. Mary was delightful! We really enjoyed our time with her! Highly recommend her! Mary was a delight to be with and was very responsive to our desire to really see Cobh (our first visit in Ireland) and she showed us the city and all the major attractions. She has great depth of knowledge of the area and Ireland and shared it with us for the day. She did not look at the time and we spent all the time necessary to properly see and understand the area. We highly recommend her for those that want an in depth view of the area - which we desired. TOUR GUIDE RESPONSE: Thank you for your kind comments Bernard, I really enjoyed my day's touring with you and I am delighted you saw as much as possible and enjoyed it. Another great day with Mary! We saw everything we wanted, and Mary made several changes in the itenerary, at our request, so we spent more time where we wanted. The lakes are beautiful, and the trip through the Gap, which Mary drove in her car, was almost indescribable! Her knowledge and personality really made the tour personal. I highly recommend this tour, with Mary as your guide. By the way, my wife and I used her for another tour yesterday. TOUR GUIDE RESPONSE: Thank you so much for your kind comments, I am glad you enjoyed the tour. I hope you enjoy the remainder of your holiday in Ireland and especially your tour in Connemara and Galway. Mary. Five star, "thumbs up" rating for Mary!! My wife and I took this tour today, and are still talking about it! Of course, the drive was beautiful, but Mary's knowledge, commentary and wonderful personality made the trip. It was so flexible, we could chose where, and for how long, we spent at each spot. It was a day well spent! Enjoyed it so much, we are going on another tour with her tomorrow. TOUR GUIDE RESPONSE: Thank you so much James, I really enjoyed the day too. There's another action packed day in store for you today so have loads of stamina and energy ready for a day of exploration and variety on our tour in Killarney today. Mary was a friendly, knowledgable guide for the Ring of Kerry drive. I drove a van with 7 US tourists and Mary as our guide. She received no extra hazard pay for allowing me to drive. TOUR GUIDE RESPONSE: Thank you so much Art, it was a wonderful day and we certainly packed in a lot of sightseeing in it. I was very impressed with your driving - the Irish roads posed no problem for you. Mary was a wonderful guide. She was knowledgeable, fun, considerate, and a great walker! We would recommend her ( and her husband) anytime. TOUR GUIDE RESPONSE: Thank you so much for your kind comments, it was a wonderful thoroughly enjoyable day. Mary was a terrific guide. I would recommend her to everybody. She was particularly helpful with my wife who is confined to a wheel chair. She checked every place out before we arrived so handicapped restrooms and accessibility to restraunts etc. were all prearranged. Skelligs & Valentia Island - most amazing places I've ever been to. No picture can cover beauty of these places. Must see. Must visit. Having a guide by your side gives you fantastic advantage - there's no need to spend precious time deciding where to go and what to see first, how to get there, how long the road will take and etc. Your guide knows it all. And Mary was so friendly and knowledgable. I highly recommend this tour and Mary as your guide. Mary, thank you for this wonderful tour! Our ToursByLocals experience was very favorable. Our tour guide Mary was very dependable with email communication prior to our tour. She was very informative and accommodating. Our Killarney Lakes & Gap tour was filled with spectacular views and a very memorable time for our family. We highly recommend Mary when touring in Killarney, Ireland. I couldn't be more pleased with Mary's conduct of the tour. At times we were also joined by her husband Ray. Both she and Ray were attentive to my needs and interests. They have a very well informed knowledge of the area and exhibited a high degree of positive motivation as well as professionalism throughout the tour. I would not hesitate to recommend them to someone like me. In fact, I believe I have made new friends in Ireland with them and am exceptionally pleased with their efforts on my behalf. 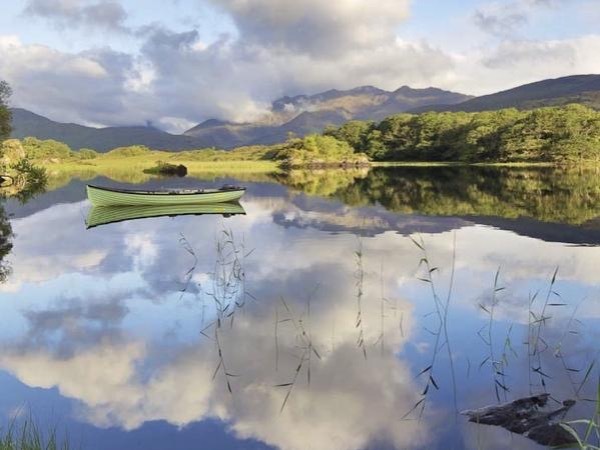 Seeing the Killarney mountains from the lakes below is an experience like no other. Then a walk through the Gap of Dunloe provides even more breath taking sites. This is a wonderful way to meet a local and learn about the "real" Ireland through conversation while simultaneously seeing the "real" Ireland around you. I would highly recommend this tour! Slainte!